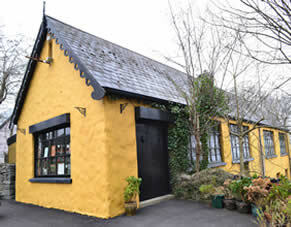 At our Connemara Marble Visitors Centre Visitors are welcome to view our large collection of antique and vintage Connemara marble Jewellery. For the past 150 years Connemara marble with its distinctive shades of green has been a favoured gift for the Visitor to Ireland and this is reflected in the museum collection. 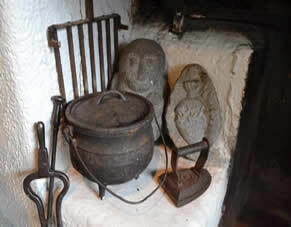 Our museum has a large collection of early Irish antique furniture, pottery and carvings from the 17th century. The mahogany front doors of the Visitor Centre are the original front doors of the famous Abbey Theatre in Dublin which was burned down in 1965.